Bipartisan legislation to allow single or working parents with a child over age 12 to babysit younger children at home alone was approved today by the House of Representatives in a 111-1 vote. 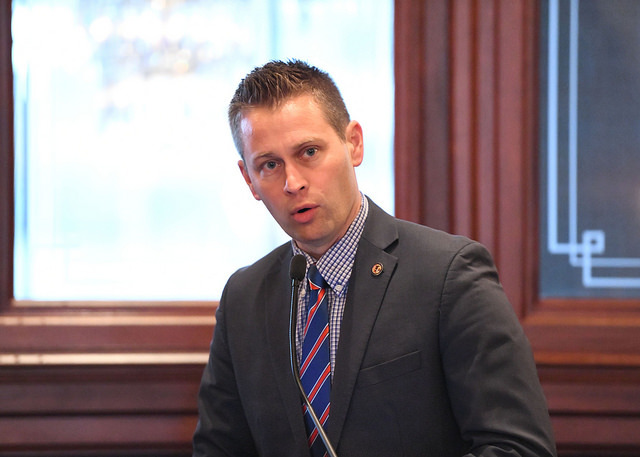 House Bill 2334, sponsored by State Representative Joe Sosnowski, R-Rockford, lowers the minimum age at which a child can be home without supervision from 14 down to 12. House Bill 2334 had eight co-sponsors including 4 Democrats and 4 Republicans. The bill now advances to the State Senate. Nationwide, current state laws that define a certain age when children may be left home alone range from age 6 in Kansas to age 14 in Illinois. While 45 states have statutes on this subject, only 14 specify a certain age, with the most common age being 10.